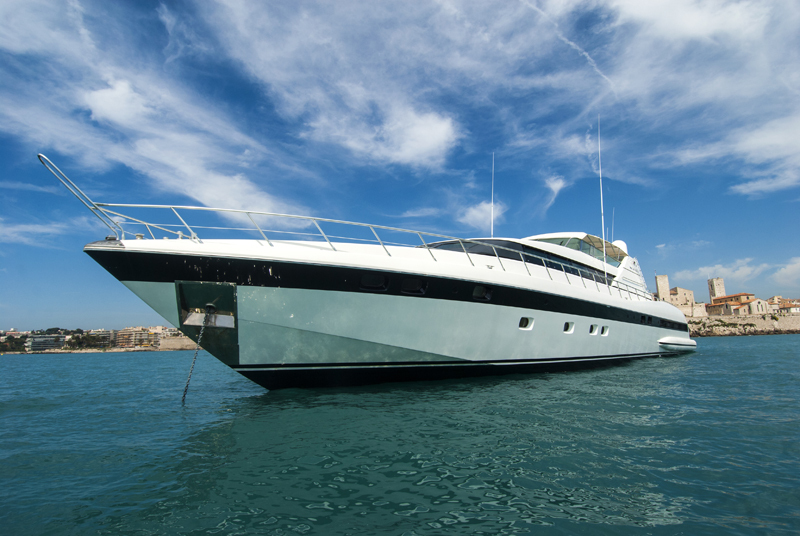 Motor yacht MACH ONE is a Mangusta 105 TS yacht built in 1999 and entirely refitted in 2013. 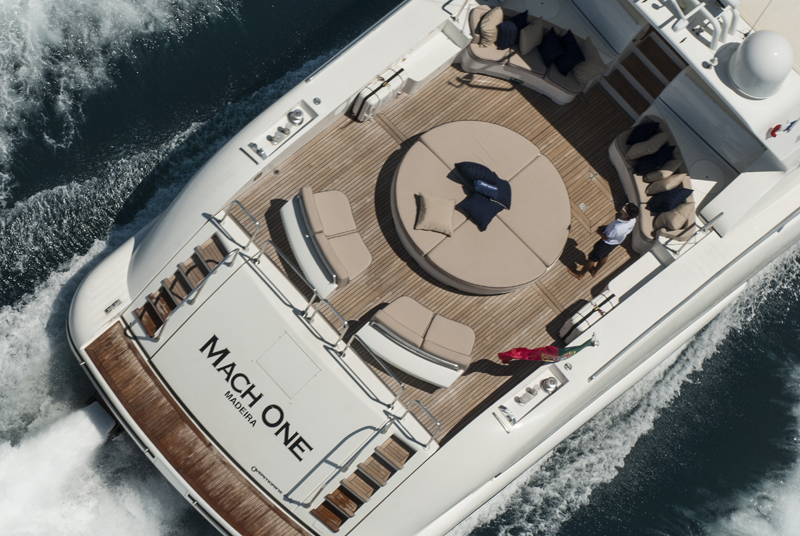 Yacht MACH ONE has a sleek exterior profile coupled with a modern and contemporary interior style. 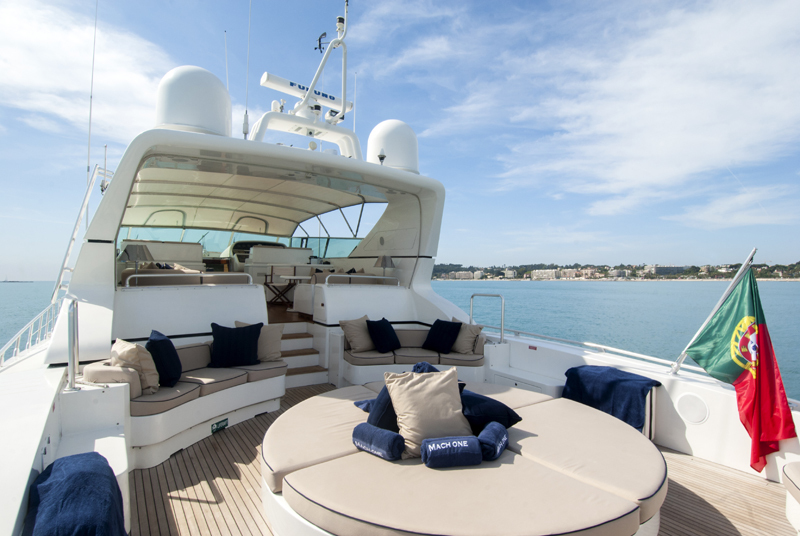 The Mangusta (Overmarine) yacht MACH ONE boasts a very functional aft deck with a large sunbathing area that can seat up to 8 guests while cruising. 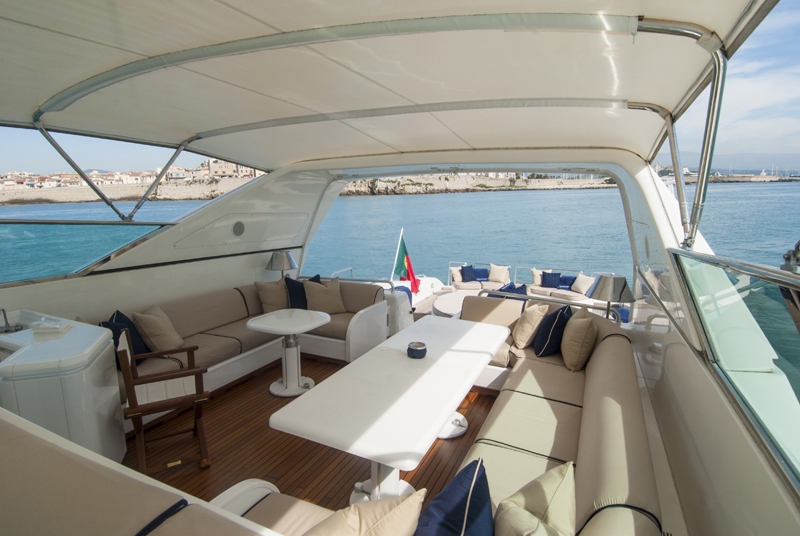 Further forward is the alfresco dining area which can be left open, or can be closed and covered by the hard top bimini during lunch or an evening meal if required. 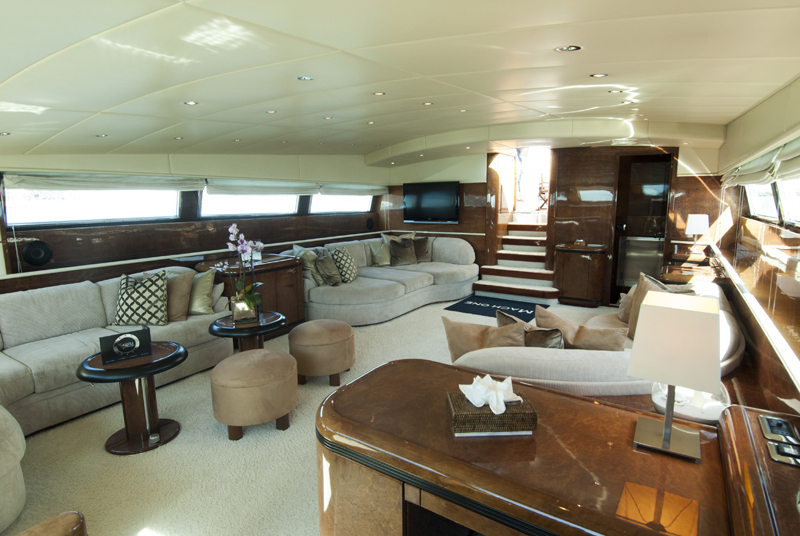 A few steps down and forward is the main salon with plenty of comfortable seating to both port and starboard. 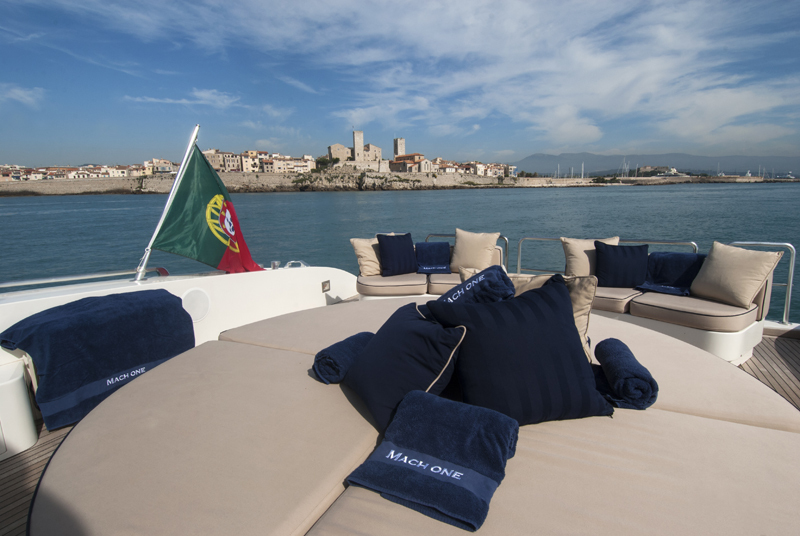 The MACH ONE motor yacht is able to accommodate up to 9 guests in 4 cabins including a large master cabin, a VIP Cabin, twin cabin and another twin cabin with a Pullman. 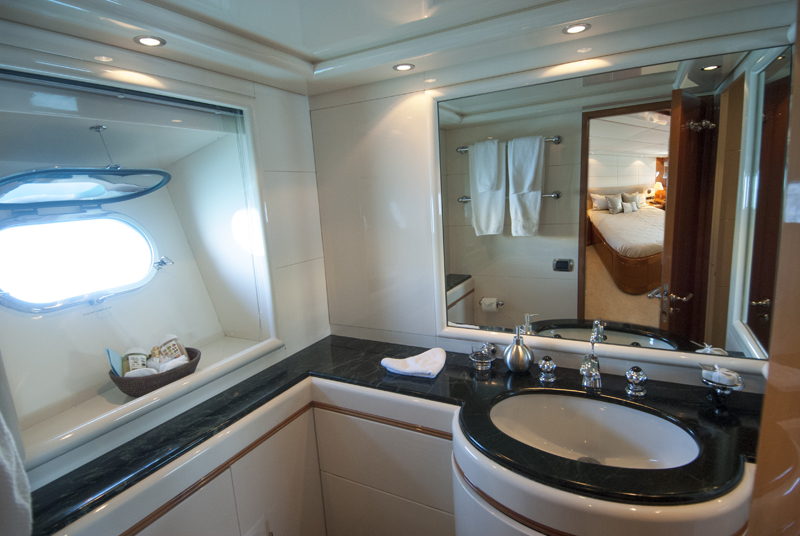 All cabins have ensuite facilities, Ipod dock station and TV satellite. 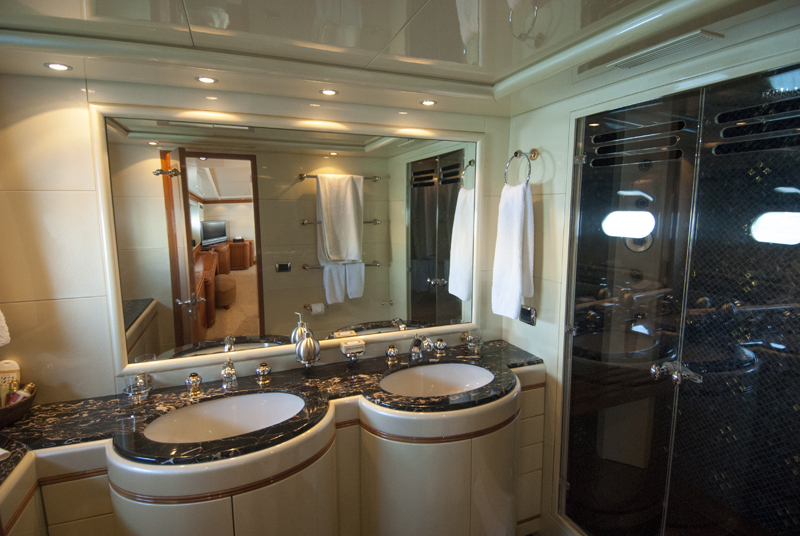 M/Y MACH ONE boasts all new High Technology including an Ipod dock station in salon, all cabins and deck, flat screen, hi-fi music, video, internet and TV by satellite. 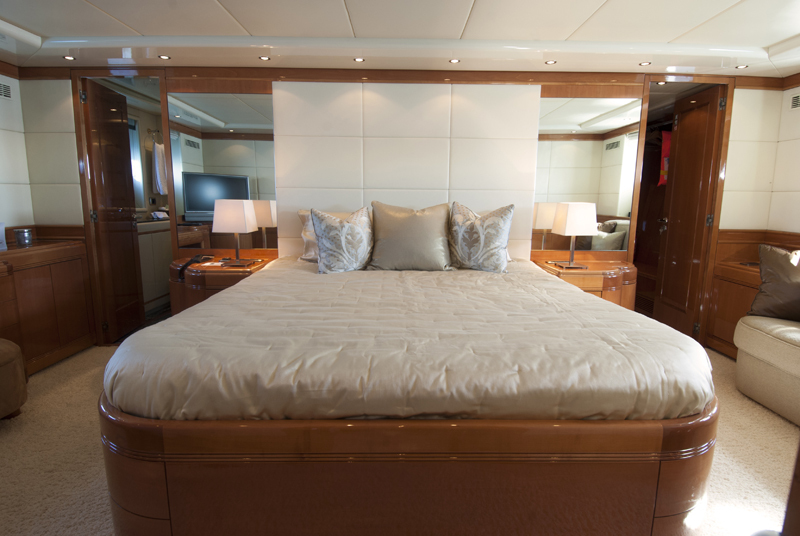 The yacht also has reversible air conditioning, full option for cruising, professional equipment for the chef. 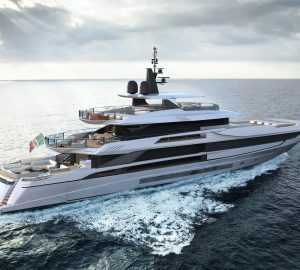 The Mangusta 105 TS MACH ONE is endowed with turbine RR 4.000 HP and when they are active, Mach One can reach up to 47 knots. It makes of her, the fastest boat of its category. Her usual cruising speed is around 20 knots. Mach One is fully equipped with toy water sport toys including a Zodiac Hydrojet 90HP, Super Jet 700 Yamaha, Snorkeling equipment, water skis. 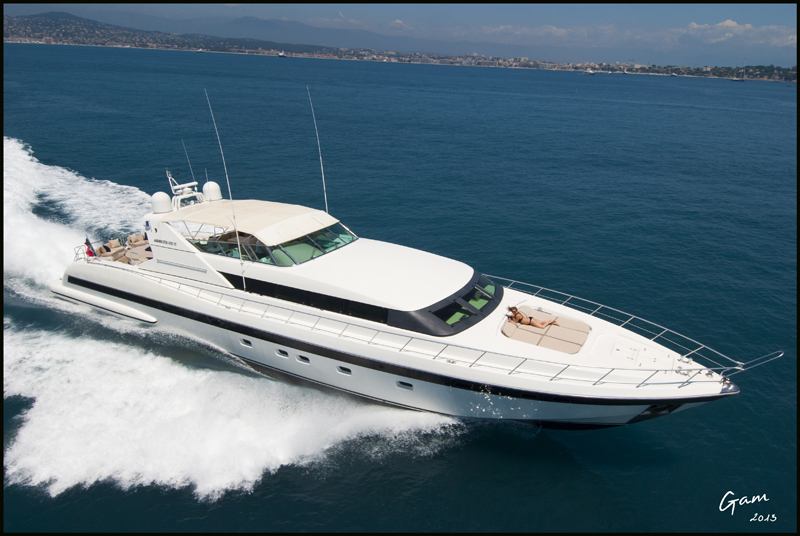 This luxury motor yacht 105 Mangusta Sport MACH ONE offers luxury accommodation for up to to 9 guests in 4 cabins including a large master cabin, a VIP Cabin, twin cabin and another twin cabin with a Pullman. 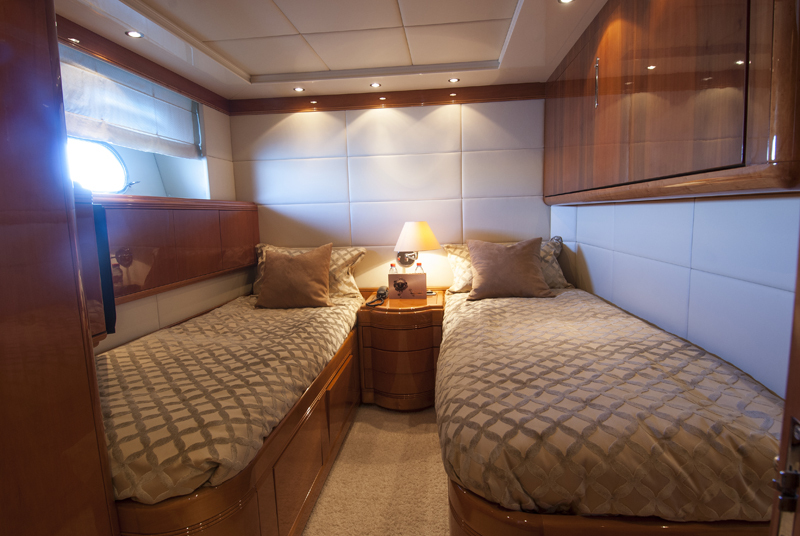 All cabins have ensuite facilities, Ipod dock station and TV satellite. 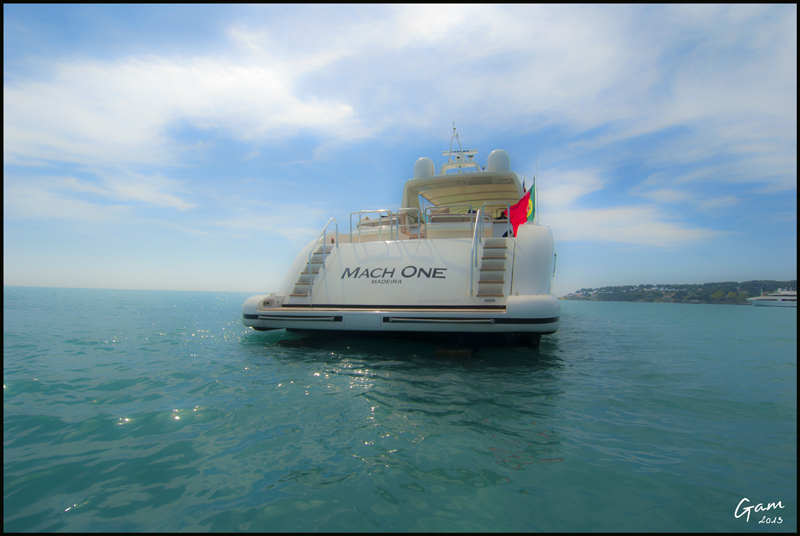 Luxury motor yacht MACH ONE provides the following yacht amenities: Tenders + toys: Hydrojet 110 HP, Jet Ski, Paddle, Snorkelling and water skiis. 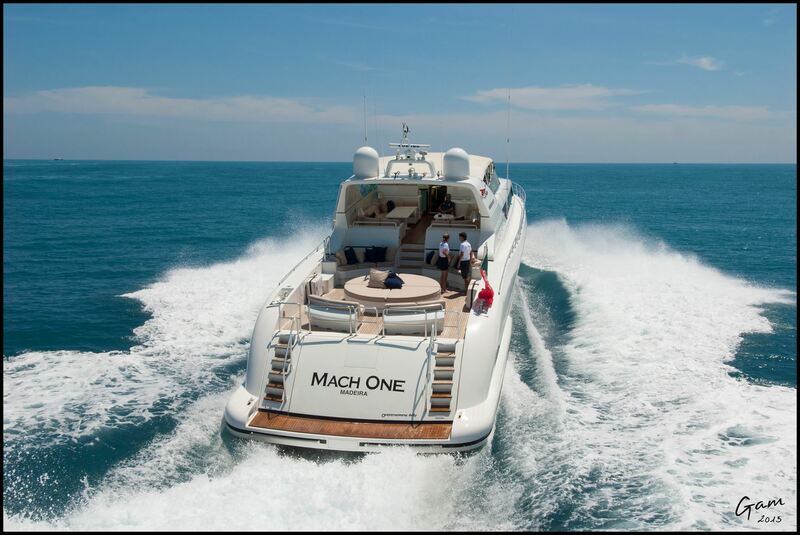 M/Y MACH ONE boasts all new High Technology including an Ipod dock station in salon, all cabins and deck, flat screen, hi-fi music, video, internet and TV by satellite. 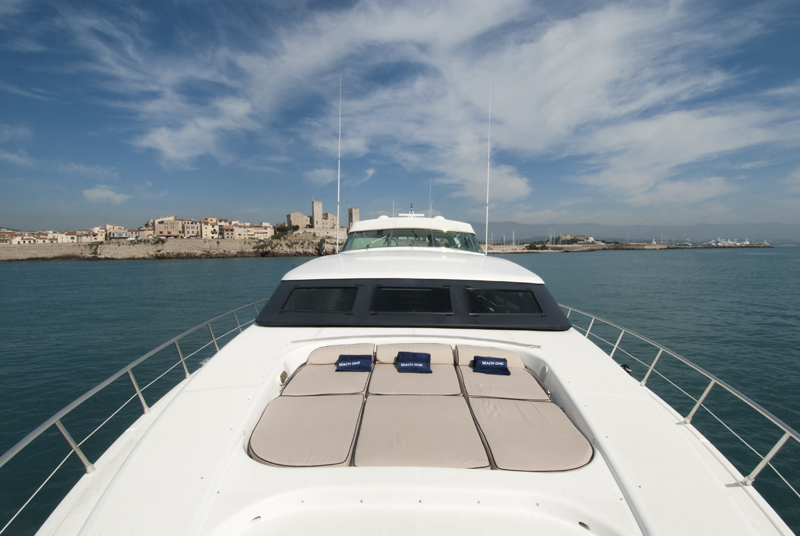 The yacht also has reversible air conditioning, full option for cruising, professional equipment for the chef.